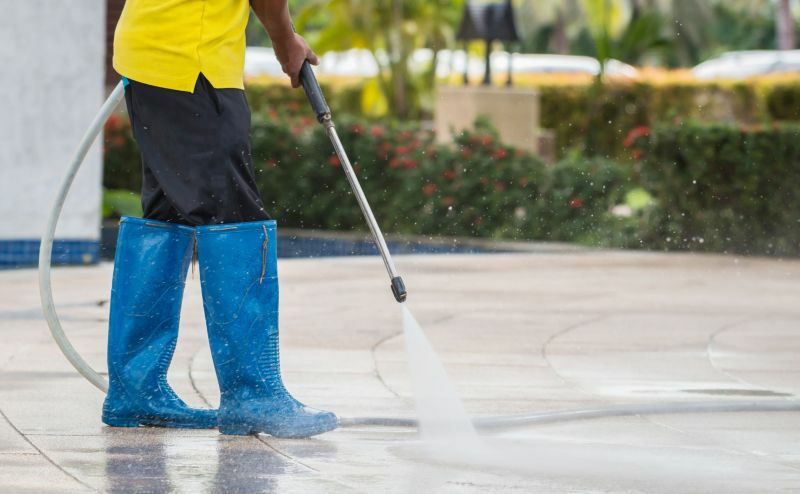 To clean stained concrete floors and maintain them, make sure you're using the proper cleaning products and following the recommended steps for either interior or exterior concrete floors. 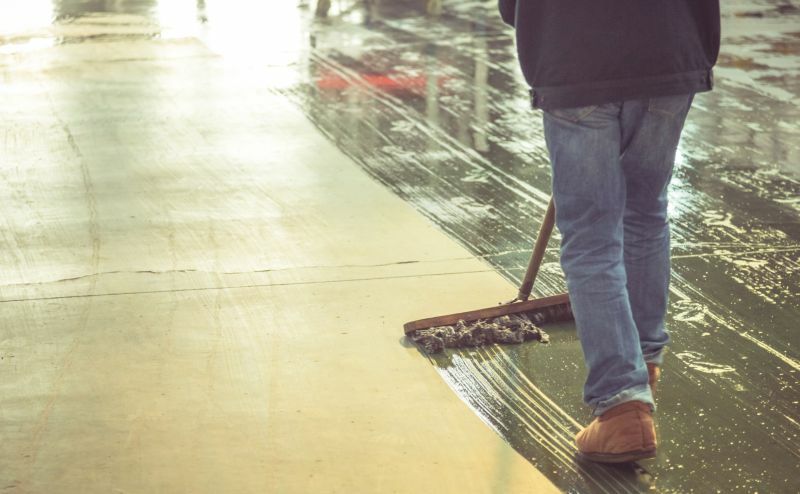 Follow our guide below on how to clean stained concrete floors and keep them looking pristine. Clean with water. Use a mild detergent as needed. Such as Dove or Ivory dish soap. Do Not use Dawn, Simple Green, Ammonia or harsh cleaners as they will work to damage and even strip the wax. The wax should last for several months or longer, but when it does start to dull or scuff, clean and let dry, then reapply a fresh coat of wax and let dry. Clean with water. Use a mild detergent as needed. You can use a water hose or power washer. If it is waxed then follow the instructions for Interior. If it is Not waxed, then since there is no wax to protect the sealer, it will wear and need to re applied occasionally. The time frame for reapplication of sealer depends on the amount and type of traffic, weather, and exposure to the sun. Usually the first application lasts the least amount of time because concrete is like a sponge, soaking in the initial application. However, after that it should be longer lasting. We have heard reports of those needing to re apply the sealer yearly to every 5 years. If you have chosen to not seal the surface, then just keep clean as outlined above.